Umer J Saleem is a Mechanical Engineer with a minor in Automotive Engineering from Michigan State University. Since an early age he has been extremely fond of cars and it's this very love for cars that made him follow his dream and go all the way to Motown. He loves Nihari Paye and sleeps at night with his camera by his side. 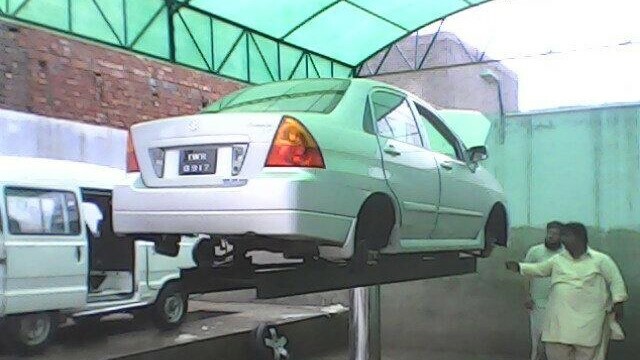 Dont you think moving parts under car require lubrication to minimize wear of parts. Morever, in my experience, oiling car had resulted in minimizing squeeking noises as well. I am not saying oiling is good, but not oiling could also result in demage of suspension. What could be alternative? laken agr shakes awaz dy to phr kya kea jae, jis mechanic k pas jao aik he jawab gari service kerwa k deasel merwae, so tell me about this problem.